Three weeks back, EA officially turned RTX on in Battlefield V, becoming the first game to support the radical real-time ray tracing capabilities of Nvidia’s GeForce RTX 2070 and RTX 2080 and 2080 Ti graphics cards. Real-time ray tracing has long been considered the Holy Grail of gaming graphics. The fact that it’s running at all in modern games is very technically impressive and required the addition of dedicated hardware in Nvidia’s graphics cards. Some gamers were nevertheless disappointed at the significant performance hit associated with turning on RTX. 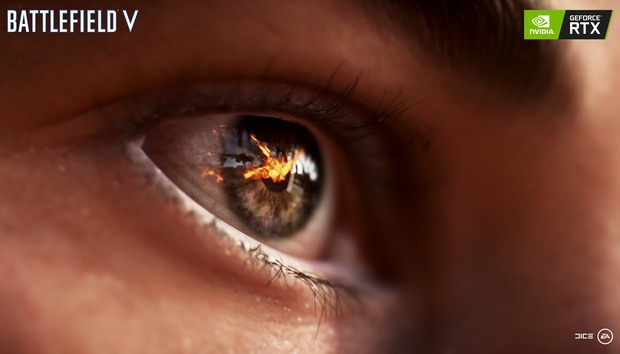 Now, Nvidia and EA are delivering updates that considerably improve DXR ray-tracing performance in Battlefield V, by up to a claimed 50 percent. The Battlefield V: Tides of War Chapter 1: Overture update will work in the enhancements on December 4, and Nvidia will release a new Game Ready GeForce driver to support them. Even the vaunted $1,200 GeForce RTX 2080 Ti dipped below 60 frames per second at 1080p resolution in BFV’s initial ray tracing beta release. After these updates drop, Nvidia says the graphics card should surpass 60 fps at 1440p resolution with the game’s DXR Raytraced Reflections setting set to Ultra. The $700 RTX 2080 will also hit 60 fps at 1440p with reflections set to Medium quality, as should the $500 RTX 2070 at 1080p resolution and reflections set to Medium quality. Assuming those claims hold true, that’d be a huge increase in ray tracing performance. “Made stability improvements while running the game with DXR Ray Tracing on. You can watch Nvidia and DICE engineers discuss the ray tracing improvements in the video below, which shows what each of the tidbits above actually mean. Why this matters: Delivering substantial performance improvements in the very first post-ray tracing patch drives home what we’ve been stressing for a while: These are still the early days for an impressive new technology. Don’t expect to see the full potential of real-time ray tracing in its initial implementations. Optimizing cutting-edge features takes time and experimentation, and the software will only get better. Remember the massive performance hit anti-aliasing and tessellation delivered when those first rolled out? Now, both technologies are standard in games and have much less of a frame rate impact. Time will tell whether ray tracing becomes a norm as well. But seeing such a big performance lift so soon after ray tracing made its grand debut in BFV is encouraging. If you buy a GeForce RTX graphics between now and January 7, Nvidia will toss in a Battlefield V game code for free.